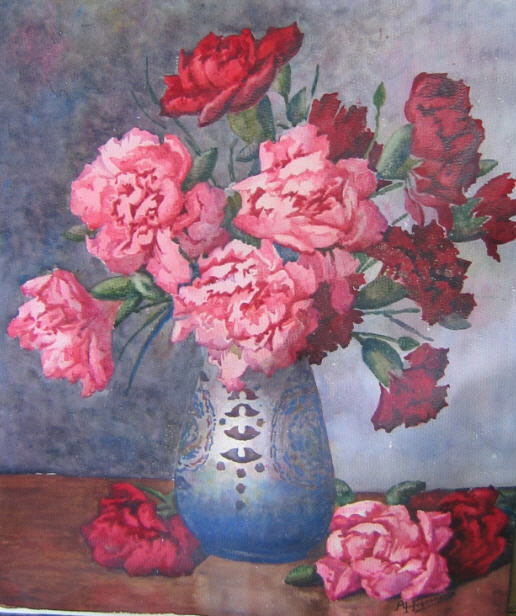 Considered a regional artist, she has devoted much of her works to floral patterns. 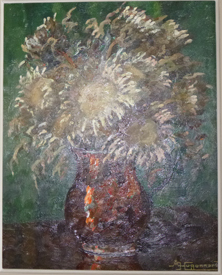 A student of the School of Fine Arts in Saint Etienne (Ecole des Beaux-Arts), Adeline Hugonnard exhibited her first paintings at 19, in 1925. 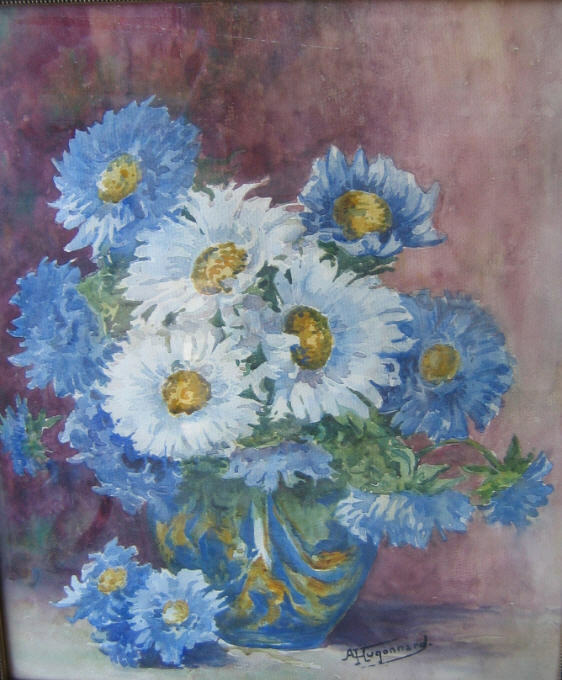 Five paintings were exhibited at the Salon de la Société des Arts du Forez (chrysanthemums, dahlias, carnations, roses and asters). Among the works of the exhibition, there were paintings by Antoine Barbier, the city of Lyon master of watercolors. 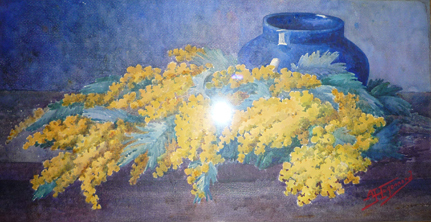 In 1926, the city of Saint-Etienne bought a still life, flowers and fruits. This was the first in long series of works acquired by the Saint-Etienne community (institutional and private collections). She kept painting all her life and exhibited regularly in regional events: Saint-Etienne, Lyon (Autumn Salon), Roanne. She painted oval shape canvas up to the thirties. Watercolors are less common. She was diagosed a larynx malformation at birth in 1906. This will make her deaf and mute, and did undoubtedly impede her career as a painter and the rating of her work. After the death of her father in 1940, she then lived with her mother. She joined the Chauffailles retirement home after the death of her mother. 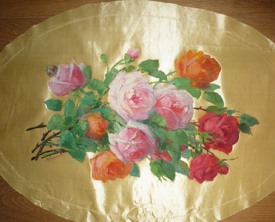 The retirement home management arranged a painting studio for her and she kept painting flowers on many substrates (lining of her coat, mops, etc.). At her death, without posteryty, she donated by will her studio collection to the city of Chauffailles. 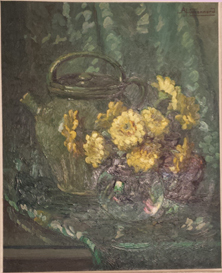 The Museum of Modern and Contemporary Art of Saint-Etienne (Loire) has two paintings (oil on canvas), the Centre National des Arts Plastiques (CNAP) has another one. The Museum of the City of Chauffailles, located in the Castle of Chauffailles (Saône-et-Loire) has some others, alongside works by Marcel Journay. An exhibition organized by the gallery "La Bartavelle" took place in 2010 in Charlieu (Loire): "Adeline Hugonnard, flower painter", and in 2014 in Usson-En-Forez : "Adeline Hugonnard a life painting". 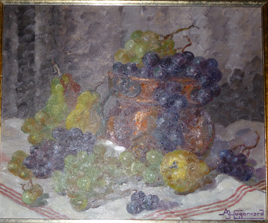 Oil on canvas, around 1933, 45,5 cm x 32,5 cm. "Petit catalogue pour découvrir les peintres entre Loire et Sornin"
A catalog presenting the numerous local painters of the region : M. Degenne, P. Chabal Dussurgey, F. Firmin Girard, C. Devillié, J. Puy, E. Noirot, Y. Montet, R. Megret, O. Lafay, A. Charnay, F. Millet, M. Montet, M. Trouillet, A. Dechelette, A. Hugonnard, M. Pincour, M. Beauze Reynaud, L. Caradot, G. Souchon, R. de la Fresnaye, M. Tete, L. Dinet, . H. Senard, H. VIeilly, M. Nicola,s, M. Espinos, E. Mandon, CH. L. Picaud, among others. 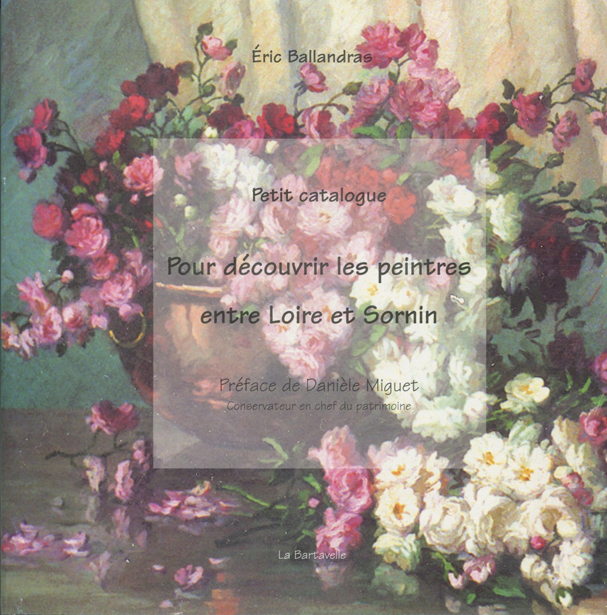 Paintings by : Montet, Cornu, Belleud, Legrand, Yves Renaudin, Adeline Hugonnard, Marcel Journay. Loire - Paintings - "Il veut réhabiliter une artiste stéphanoise mise de côté par Wikipédia" and "et "Adeline Hugonnard a peint toute sa vie des oeuvres « qui méritent qu’on s’y intéresse »"
2014 : "Adeline Hugonnard, une vie de peinture" - Ecomusée des Monts du Forez - From 11 to 30 november 2014 from 14h to 18h - 5 place de L'église - 42550 Usson-En-Forez, France. 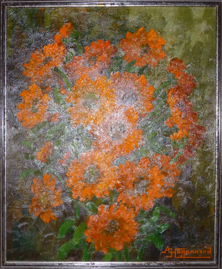 2010 : "Adeline Hugonnard, peintre de fleurs" - Galerie "La Bartavelle" - 2 rue de la Tour de l'Eglise - 42190 Charlieu, France. Note : the publication of this page on Wikipedia is not yet possible as the notoriety of this artist is judged insufficient. As a result, her name does not appear in the Wikipedia page of the Musée d’Art Moderne Saint-Etienne Métropole and on the City of Saint-Etienne page. If you have more information on this artist and her works, please send it to the address below. 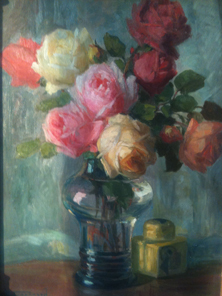 If you own a painting by Adeline Hugonnard, please send its precise description and a picture.